A few weeks ago, I attended the second annual LA Baby Show in Los Angeles, CA. Over 150 brands from around the world came together to show off their pregnancy, baby, toddler, and family goods. The show was so large it spanned two floors and two days, and I tried my best to soak it all in. Please note, some of the brands below are featured sponsors and some of the links are affiliate links, but the opinions expressed are entirely my own. I'd recommend these products to you anyway! Before we jump into all of our favorites and must-check-out products and brands, I want to give a shout out to the Ergobaby 360 which Leo was riding around in during the show. This is my favorite carrier for after baby is out of the fourth trimester (3+ months old) because it’s equally great for walking around a baby show or hiking with the family. Baby can face inside or outside, and it’s a super quick adjustment to switch baby from mom to dad. We love everything about our Vista stroller. It has roomy storage, folds up easily, the quality is amazing and holding up well to two little boys… plus, it’s also super sleek and stylish. Both of my boys used the MESA Infant Car Seat and loved taking a snooze in the comfy chair. With the Vista stroller, we could pop them from the car to the store without ever waking them up. When Leo joined the family, we were able to easily adapt the stroller to fit both boys with an attachment. Loving our Vista so much, we were super excited to check out the latest stroller from Uppababy at LA Baby Show—the Minu stroller. The Minu is a super lightweight stroller (less than 10 pounds!) with lots of storage—and it actually opens and closes with one hand. The best part is that the stroller can be used from birth through 50 pounds! That’s a whole lot of years of use from one stroller. It’s expected to be released in Spring 2018, just in time for summer travels. There is nothing that comes closer to water on a towelette than these wipes. I’m so obsessed with these natural wipes that I brought them to the hospital with me to start my boys off on them from birth. They’re safe, gentle, and chemical-free. WaterWipes are made using purified water with a drop of grapefruit seed extract. They’re safe for sensitive skin, hypoallergenic, and suitable for use on newborns. They’re perfect for kids who suffer from eczema, in fact, they were awarded a Seal of Acceptance™ from the National Eczema Association. Many families opt to cloth diaper their babies these days, but we decided to use Bambo Nature’s disposable diapers. They’re so soft and comfortable, it’s amazing that they’re a disposable diaper! Both of our boys have used these diapers since birth. We love that they’re free of harmful chemicals and allergens, like latex. They’re super leak proof and absorbent, easily lasting all night, and we never have to worry about rashes. I think I’ve tried (or researched) every toddler cup on the market before coming across Thinkbaby’s cups. I feel like it’s the only cup that is truly spill proof and easy to clean. We own them in every color! My favorite is their super cool thermos cup which keeps Ryan’s water/milk cool for long car rides or days at school. They also have a spill-proof straw cup! Perfect for giving toddlers a little more independence, without worrying about a big mess. Some of our favorite books at home are the Baby Touch & Feel series by DK Publishers. Ryan’s favorite book is the My First Trucks and Diggers, he was able to learn and say all the different trucks by “studying” his book. We’re also big fans of the noisy peekaboo books that incorporate noisy, animal sounds into the story. We’ve enjoyed hours of hands-on play just with these two books, so we were excited to see their latest story, Good Night, Baby Moon at the LA Baby Show. It’s a nighttime bunny story to teach your little love about the different shapes of the moon and how even though it changes, it always comes back. The moon even lights up! If you plan to put a book or two under the tree this year, they also have a holiday gift guide with books for all ages. When you’re a stay-at-home parent, it can be terribly lonely and isolating. During the newborn phase, you’re sleep deprived and sore, and it’d be great to talk to another mama who understands. There’s only so much interaction a Facebook group can provide, and it’s really important (for you and baby) to get our for some fresh air. 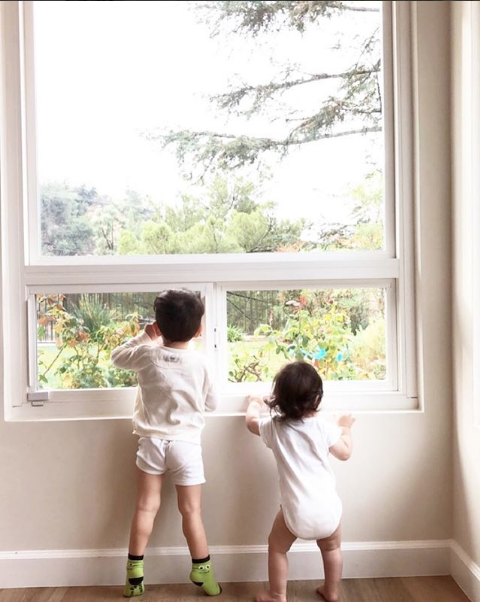 After the newborn phase ends, you have a toddler or preschooler with more energy than you can contain in the house, and they really are so much easier to wrangle when they have a playmate their age—not to mention, they’re also learning valuable social skills that just can’t be taught by mom and dad. 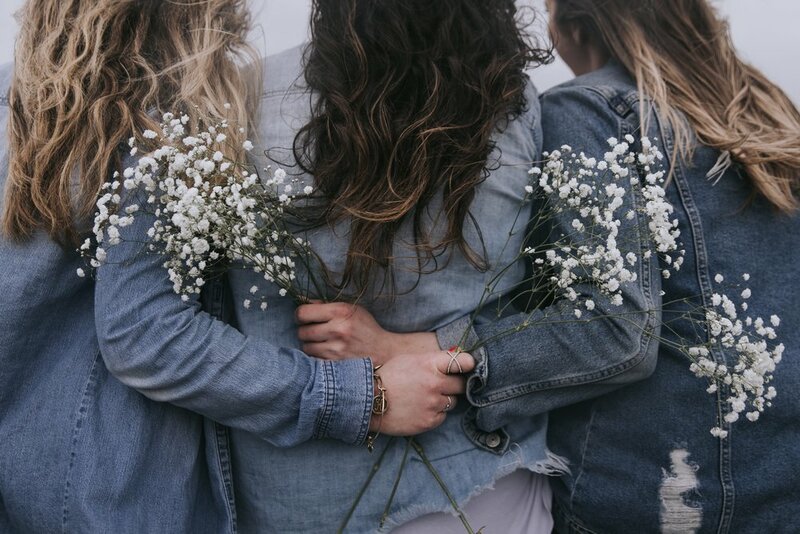 Finding a tribe of authentic mom friends is more difficult than it sounds, and it’s the #1 reason why I started Land of Mom in the first place. You can attend dozens of mommy-and-me yoga classes and workshops, but chances are it’ll feel forced, and you’ll walk away without any new contacts in your phone. Enter the MomieGo app! This app provides moms and dads with a way to connect with like-minded parents in their area. With a few clicks, you set up a social profile and be on your way to swiping right—a la Tinder—on new friendships. My favorite part is the MATCH! alert letting me know that I’ve connected with someone and we can start setting up playdates! It’s a really fun way to meet other families in your area, without changing out of your pajamas. I’m really excited about this new app, and I encourage you to download it for your iPhone to connect with other parents in your area. (Android users, you can sign up to get an alert as soon as it’s released on the MomieGo website.) Right now, the LA area is their primary market, but they are always expanding into new cities as their user base grows. We’re loving these fun name labels and stickers from Mabel’s Labels! If you’ve ever sent your kids to preschool, you’re probably familiar with the need to label absolutely everything they touch with their name (or risk never seeing the item again). But I bet you didn’t know that it could be so much more stylish than the traditional black-text-on-white sticker. I had the chance to visit the Mabel’s Labels booth at the LA Baby Show and instantly fell in love with the stylish, fun labels. I had to have them! Bonus: They’re dishwasher safe, microwave safe, and waterproof… perfect for all those bottle parts you’re constantly washing for daycare! Ryan and I had a blast sticking his name onto his backpack, thermos, clothes, etc. and I’m pretty impressed that they’ve held up so well compared to masking tape and markers. They even offer cute personalized labels for holidays, sports, dance, travel, and even medical alerts! You can order yours here and enjoy 40% off their most popular products during their Black Friday sale. I’m not sure how we survived car trips before this handy gadget! The Travel Tray allows your kids to have easy access to their drinks and snacks (or toys), so you can stay focused on the road. No more reaching back to find a snack only to have it end up on the floor because you missed your little one’s little hands... or worse, swerving to avoid an accident (the unfortunate inspiration behind Travel Tray’s invention). Whether you’re going down the road or for a longer road trip, your toddler will love the independence of choosing their own snack. 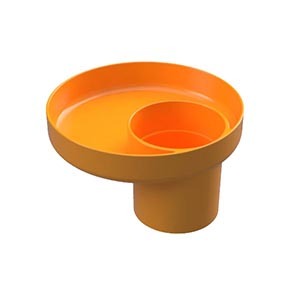 The Travel Tray fits into most standard car seat cup holders and also includes an adjustable base to provide extra stability for wider cupholders—like the ones in your stroller or summer lawn chair. The kids are big fans of the variety of fun colors available, while parents can appreciate that it’s 100% food safe, BPA free, dishwasher friendly, and made in San Diego! PS—It’s not just for the little ones. You can use it to store your coffee and avocado toast for a delicious breakfast on the go. How I wish I knew about Lactation Lab when I first started my breastfeeding journey! Breastfeeding can be a serious mind game between trying to figure out baby’s feeding cues, weighing to determine how much baby ate, adjusting for oversupply (and undersupply), and getting those latches down. On top of that, when baby’s feeling especially gassy or irritable, you’re left wondering if baby feels cranky because of something you ate. Should you cut out dairy? Cut back on the black tea? Dr. Stephanie Canale, MD had the exact same struggles and concerns and also heard them echoed by mothers she met through her medical practice. 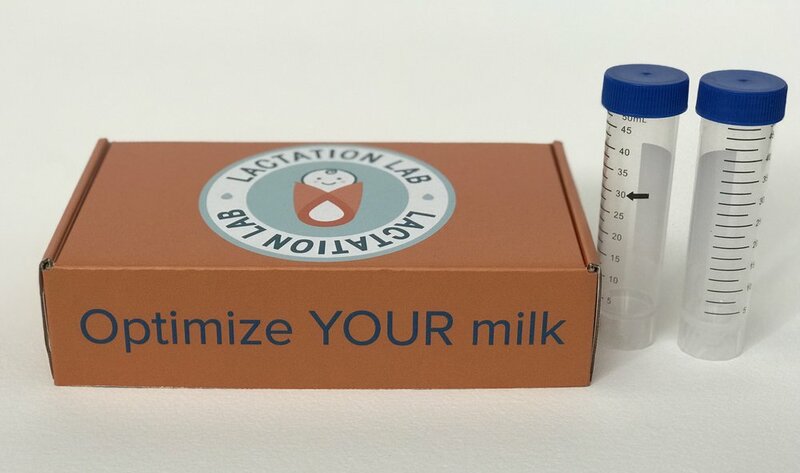 Dr. Canale collaborated with colleagues and drew upon her own expertise to design a unique, comprehensive home test kit designed specifically for breastmilk. With Lactation Lab, you can easily discover what’s in your breast milk AND rest assured that you’re raising the healthiest baby possible. I tested my own kit earlier this week, and while I don’t have my results yet, it was such an easy and simple process to pump, store, and mail back my milk. I can’t wait to learn the composition of my breastmilk—especially if it contains any toxins like arsenic and lead. I’ll be sharing my results in an upcoming blog post on breastfeeding an older toddler, so be on the lookout for it soon! What a wonderful opportunity to visit so many baby and mama-centered businesses at the LA Baby Show! Which new find from my list are you most excited about? My mission is to help moms discover, embrace, and love who they are so that they are empowered to live their happiest life and enjoy the motherhood journey. Find new ways to invite happiness in your life as a new mom. Get new mama news & updates as part of the Land of Mom community.